It's already been a very good year for animated movies at the box office, with four of this year's biggest animated hits cracking the top 10 so far, Finding Dory, Zootopia, The Secret Life of Pets and Kung Fu Panda 3. Despite a solid history at the box office, the latest installment of the Ice Age franchise, Ice Age: Collision Course, will likely not be added to this list, as it suffered the worse opening in franchise history. This allowed the highly-anticipated sci-fi sequel Star Trek Beyond to take the top spot with $59.6 million. Box Office Mojo reports that Star Trek Beyond earned an impressive $15,173 per-screen average from 3,928 theaters, but it still represents the lowest opening in this rebooted franchise. Director J.J. Abrams' 2009 Star Trek opened with $75.2 million, en route to $257.7 million domestic and $385.6 million worldwide, from a $150 million budget. 2013's Star Trek Beyond opened with $70.1 million with a domestic total of $228.7 and $467.3 million, from a $190 million budget. 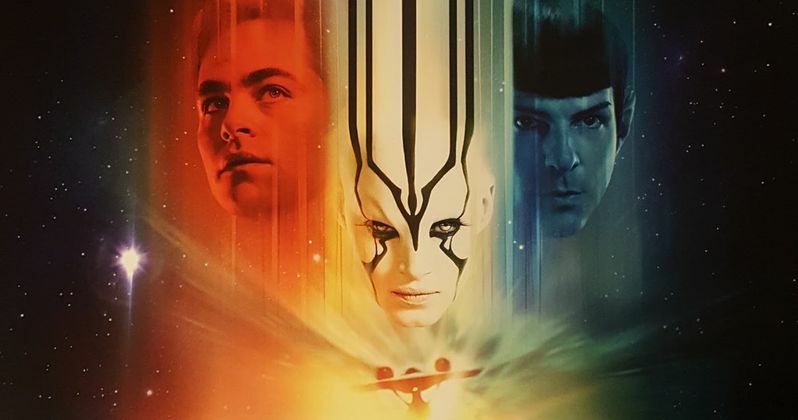 Star Trek Beyond was filmed under a $185 million budget, and while it fared quite well with critics (84% on Rotten Tomatoes), critical acclaim didn't translate into a bigger box office debut this time. The early reactions to this sci-fi sequel were incredible positive, with most critics and fans agreeing that this new movie is much better than the divisive Star Trek Into Darkness. We'll have to wait and see if Star Trek Beyond will suffer a big drop in its second weekend in theaters, but regardless of how it finishes at the box office, Paramount has already announced Star Trek 4, which brings Chris Hemsworth back to the franchise as George Kirk, the late father of Chris Pine's James Tiberius Kirk. Star Trek Beyond, the highly anticipated next installment in the globally popular Star Trek franchise, created by Gene Roddenberry and reintroduced by J.J. Abrams in 2009, returns with director Justin Lin (The Fast and the Furious franchise) at the helm of this epic voyage of the U.S.S. Enterprise and her intrepid crew. In "Beyond," the Enterprise crew explores the furthest reaches of uncharted space, where they encounter a mysterious new enemy who puts them and everything the Federation stands for to the test. Ice Age 5 has the advantage when it comes to theater count, debuting this weekend in 3,992 theaters, with the Star Trek sequel opening in 3,928 theaters and Lights Out debuting in 2,818 theaters. Despite its theater count advantage, both Star Trek Beyond and Lights Out are bona fide critical hits, while Ice Age 5 is the complete opposite. Star Trek Beyond has amassed an impressive 84% Fresh rating on Rotten Tomatoes, while Lights Out has a 77% rating, although it was sporting a 100% rating earlier this week. The fifth Ice Age movie currently has a 13% score, and it debuted in fifth place with $21 million, behind The Secret Life of Pets ($29.3 million) and Ghostbusters and Lights Out, which both tied with $21.6 million, but we'll have to wait and see which one comes out on top when the actual figures come out tomorrow. Lights Out comes from producer James Wan (The Conjuring), a tale of an unknown terror that lurks in the dark. When Rebecca left home, she thought she left her childhood fears behind. Growing up, she was never really sure of what was and wasn't real when the lights went out...and now her little brother, Martin, is experiencing the same unexplained and terrifying events that had once tested her sanity and threatened her safety. A frightening entity with a mysterious attachment to their mother, Sophie, has reemerged. But this time, as Rebecca gets closer to unlocking the truth, there is no denying that all their lives are in danger...once the lights go out. The top 10 is rounded out by Finding Dory ($7.2 million), The Legend of Tarzan ($6.4 million) Mike and Dave Need Wedding Dates ($4.4 million), Hillary's America: The Secret History of The Democratic Party ($3.7 million) and The Infiltrator ($3.2 million). Hillary's America: The Secret History of The Democratic Party is a surprising inclusion in the top 10, having opened in limited release last weekend and expanding from three theaters to 1,216 theaters. Also opening in limited release is Fox Searchlight's Absolutely Fabulous: The Movie, which took in $1.8 million, earning a solid $6,006 per-screen average from 313 theaters. Well Go USA's Train to Busan also fared quite well, earning $285,900 from 27 theaters for a $10,589 per-screen average. The Film Arcade's Don't Think Twice earned $90,126 from just one theater for the highest per-screen average of the weekend, although no box office datat was released for Mirror Images Ltd.'s Beta Test, Reliance Big Pictures' Madaari and Strand's Summertime. Looking ahead to next weekend, Universal Pictures will debut the long-awaited Jason Bourne in theaters, alongside STX Entertainment's Bad Moms and Lionsgate's Nerve, which debuts Wednesday, July 27. Also opening in limited release is Sony Pictures Classics' Equity, A24's Into the Forest, IFC's The Land, Dimension Films' Viral and Open Road Films' documentary Gleason. Be sure to check back on Tuesday for the next wave of predictions. Until then, check out the top 10 estimates for the weekend of July 22 below.